Happy Memorial Day, and in the interest of keeping things memorably elliptical, how about some Sherlock Holmes time-tangling with Jack the Ripper? 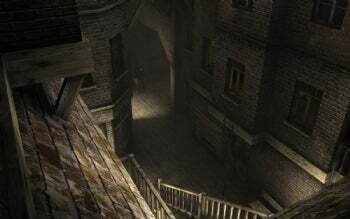 In the crossover tradition of pairings like Freddy versus Jason and Alien versus Predator, meet Sherlock Holmes versus Jack the Ripper, the latest installment in developer Frogware's critically well-thought-of Sherlock Holmes series. Miss adventure games in the spirit of Grim Fandango and Full Throttle? I do. 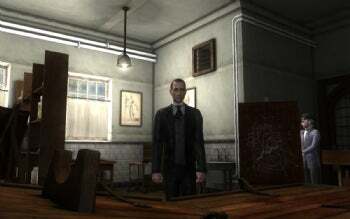 Last one I played was Dreamfall, though it didn't really work for me. Best memories? 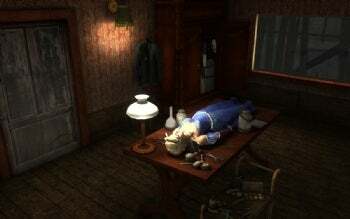 Jane Jensen's masterful Gabriel Knight: Sins of the Fathers, and of all things, EA's little-remembered but period-perfect Sherlock Holmes: The Case of the Rose Tattoo. You can sample Frogware's newest Sherlockian puzzler per the 591MB demo, or grab the full game (downloadable) for $20 from The Adventure Shop.